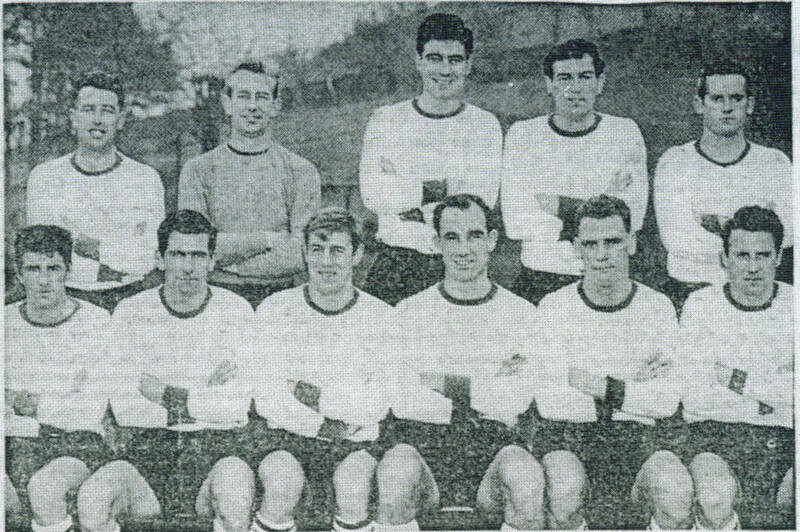 The Dover team that drew 1-1 with Corby Town at Crabble on 7th.December, 1963. Back Row(Left to Right): Sylvan Anderton, John Kirkwood, Bill Swain, Brian Naysmith, Paddy McIntyre. Front Row(Left to Right): Billy West, Brian Kirkup, Barry Rowan, Bill Davies, Allan Jones, Tommy Baker.